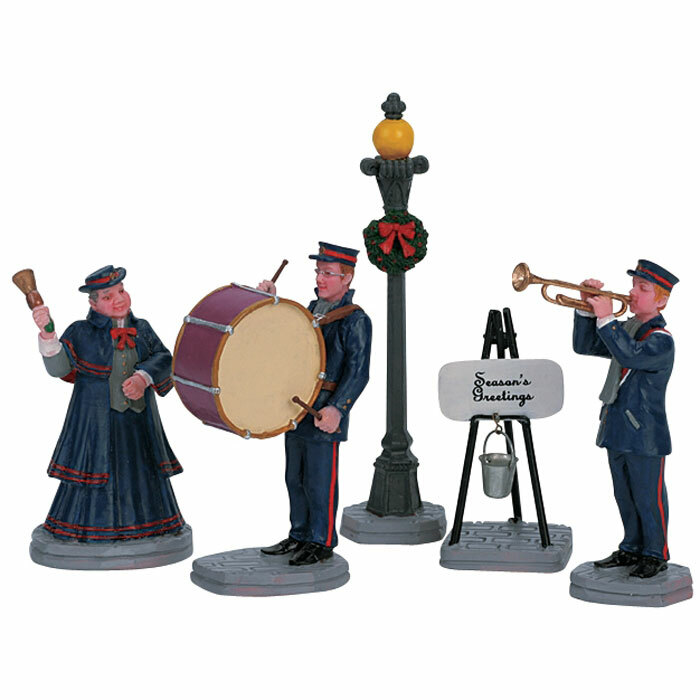 Lemax Christmas Band Figurines Set of 5 depicts a traditional Christmas street band on the pavements of the local neighbourhood raising money for charity. A Lemax Caddington Village Christmas themed figurine set which joined the Lemax collection in 2006. 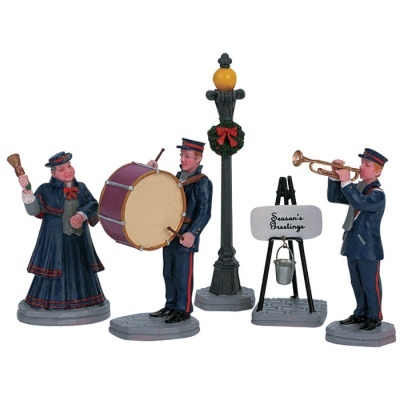 Comprises three individual hand painted polyresin band figures with lampost and collecting bucket on five individual street bases to compliment your seasonal Lemax Village display. Brilliant customer service .very pleased with item.highly recommended.Well done Bosworths.